Strike Action scored his second win at Pakenham Synthetic over 1400 meters in the Sportsbet Racing Form BM64 Handicap. He jumped well from barrier 10 with Noel Callow taking him forward and having a good run outside the leader. He was a touch keen in the running and straightened up with a narrow lead going well. A patient Callow went for him and kicked clear digging deep to win by 1 1/4 lengths to Frankincense in second and Dinner Lake a further 3/4 length back in third in a time of 1:27.58. Strike Action replayed owners after a frustrating run of seconds and bad luck. He has shown a real liking to the Pakenham Synthetic. He has now had 17 starts for 2 wins, 4 seconds and a third for $44,221 in stakes. 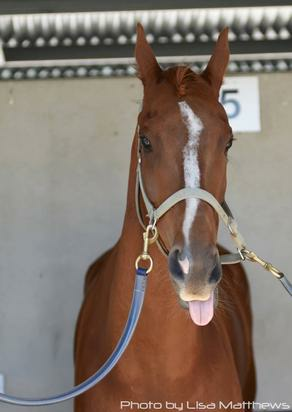 His next start will be back at the Pakenham Synthetic on the 20th August over 1400 meters.